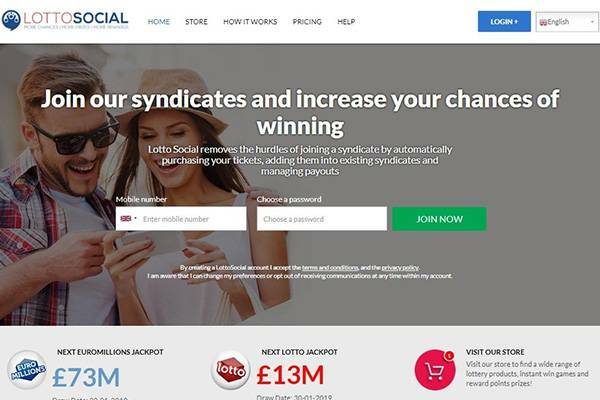 Lotto Social is a lottery syndicate management company that focuses primarily on providing their users with services to make syndicate lottery play easy. 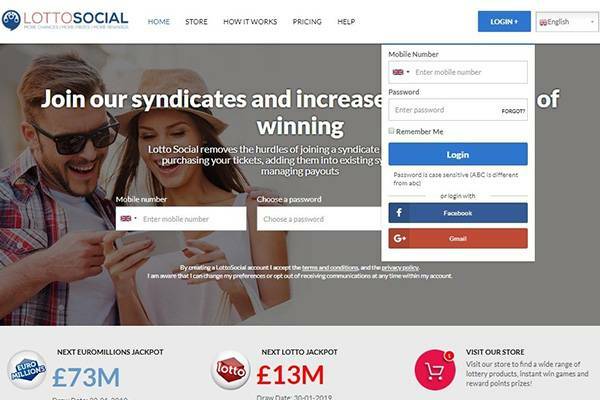 Founded in 2007, with about 248,043 winning matches in 2016 and 367,005 Euros in winnings, lotto Social ensure that you never miss out on any draw again, give you that winning formula and help you with everything you need to be a successful syndicate lottery player. Although there have complains of bad customer services, where they don’t give them proper attention and the fact that they require your bank detail with your sort code making a lot of people sceptical. You also don’t have to check your numbers after every draw, lotto Social make sure that the share of the win always gets to you and when the wins are small, you have so many options of what you can do with it. You can decide to collect your money in cash or choose their bonus credit and stand a chance to quadruple your earnings and have more to spend. They also provide you with more lines at a very little cost and we all know that in syndicate lottery more lines equal more chances of winning. With Lotto Social all you need to do is subscribe, choose a package that suits you and let us take care of the remaining and with us, that chance is looking pretty good. 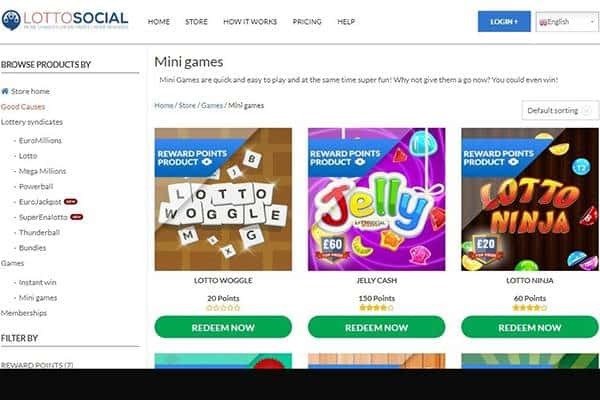 With so much winning matches and cash prizes won in 2016, it can be seen that Lotto Social is a successful lottery company. The website offers its user a high chance of playing and winning in a syndicate form of lottery. 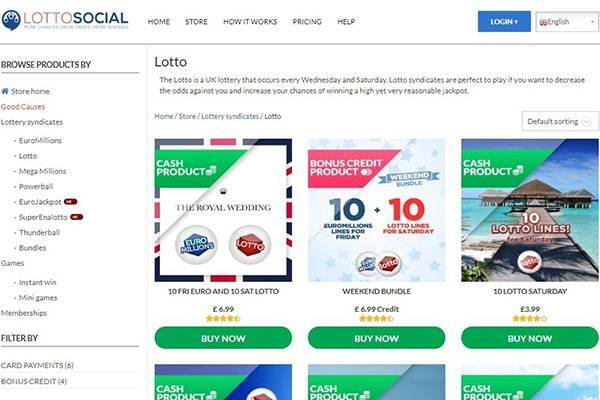 The types of lottery offered by Lotto Social include national lottery, Euromillions Jack pot, Next Lotto Jackpot and other membership draw were the participants can win prizes in form of points or cash prize. Subscription is the major feature of the website and users have to subscribe, agree to terms and condition before they can take part in the lottery. The syndicate is operated by Groupify Ltd and appoints the syndicate managers who are responsible for all lottery tickets needed for participation in the national lottery. Lotto Social is suitable for all kinds of phones, tablets and computer so it is quite easy and convenient to use. The website also offers full membership access from your Smartphone, jackpot alerts and post office cash out through your mobile. There a lot of games on the website which the users can play to win great prizes like gift vouchers, spa treatment and many more. Instant win games, giveaways and prize draws are also available. 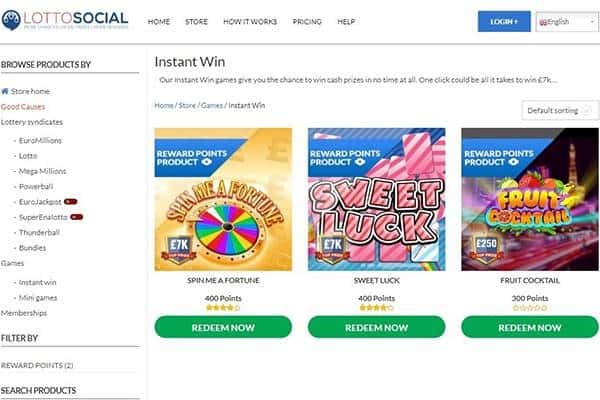 For the lottery tickets online, it is part of the subscription package, so once you have a subscription you can enter into any of the syndicate package and start playing. All winning can be cashed out and collected either through the post office or in form of a cheque, just provide your details, make sure they are correct and wait for the check to arrive. Existing users of Lotto Social and visitors to the website would find it difficult to navigate around and find assistance. There’s no FAQ page and the link to help page is, strangely, broken. Broken link, especially this critical to the user’s experience, is a negative signal. Reaching customer support isn’t intuitive as contact details are buried somewhere in the T&C page. Not only are they hidden, but they are also few – direct email and phone number with limited availability. Again, a negative signal. Is Lotto Social Lottery legit or fraud? Lotto Social is a legitimate lottery website that is accepted in many countries including the UK. 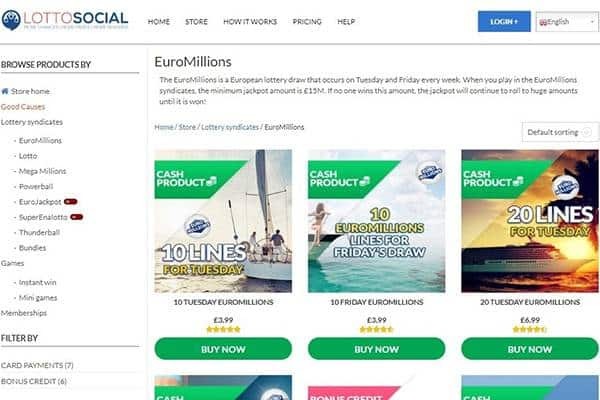 Like with every other lottery site, there have been a lot of claims that it is a scam and nobody has ever really won anything but most of the people that have won actually share the great news online for people to see and this shows that their winning claim is true. with Lotto Social, your Chances of winning Jackpot prizes doubles as they give you more line for little or no cost and you know that the more the lines the higher your chances of winning are! You never miss out on any draw as they help you do all that and all the walk down to the store just to play the lottery is now at your fingertips.